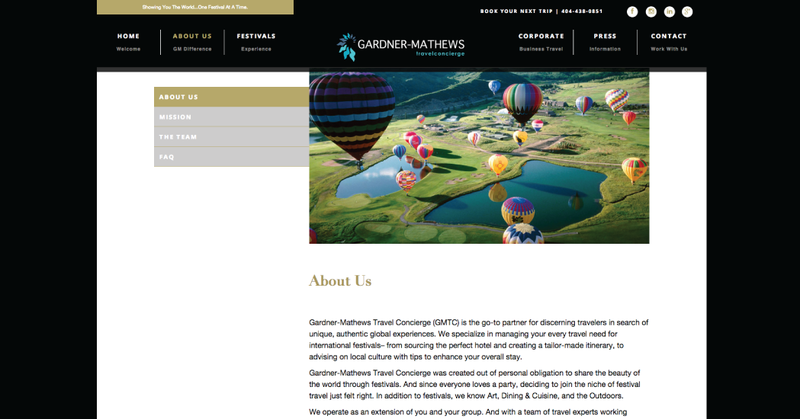 Gardner-Mathews Travel Concierge contacted QJS to create its new website. 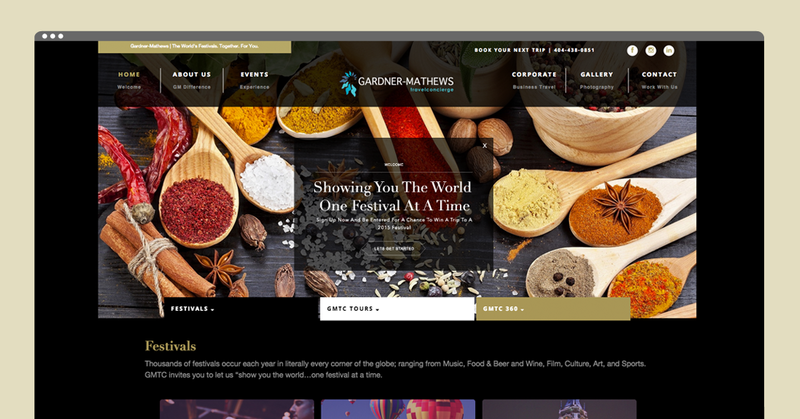 We began this project with rich imagery of the world’s many festivals and cultural activities. Our goal was to show the premier quality of service and experiences persons will receive when booking and traveling to their foreign destinations. 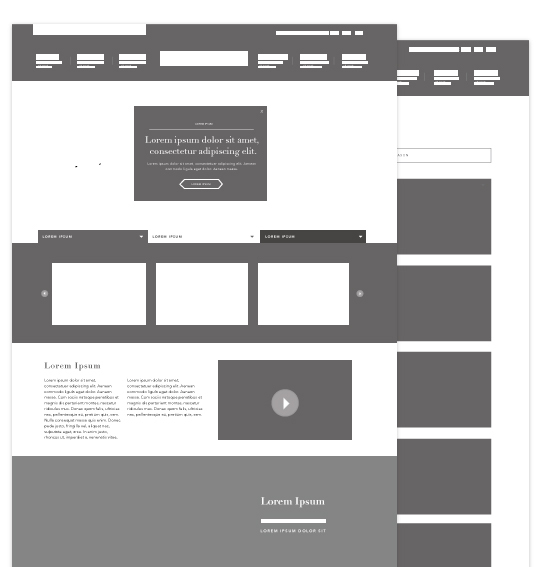 To begin, we started with gathering content and developing wireframes before building the website. 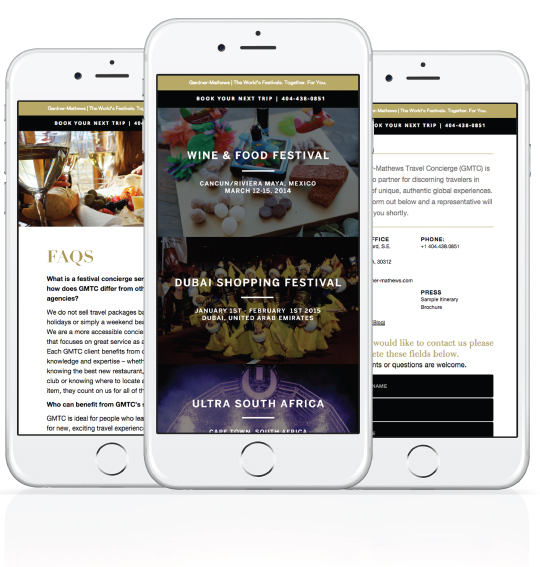 The website needed to be functional on desktop and mobile devices and maintain the unique and quality visuals of the agency’s brand. We discovered the best balance and begin fashioning the website into existence. 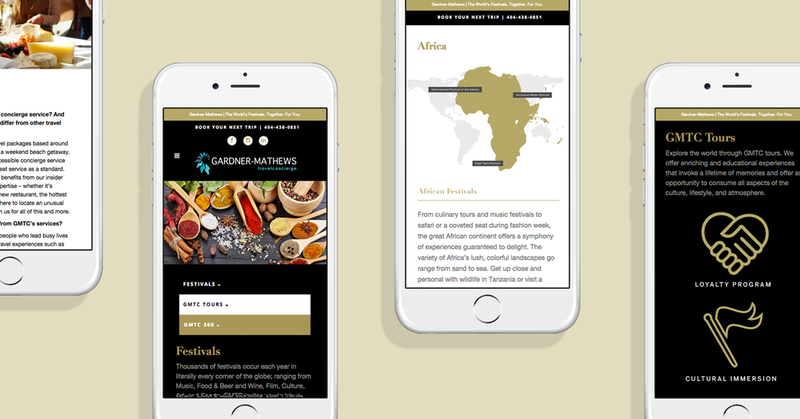 Our objective was to develop a culturally, neutral travel agency. 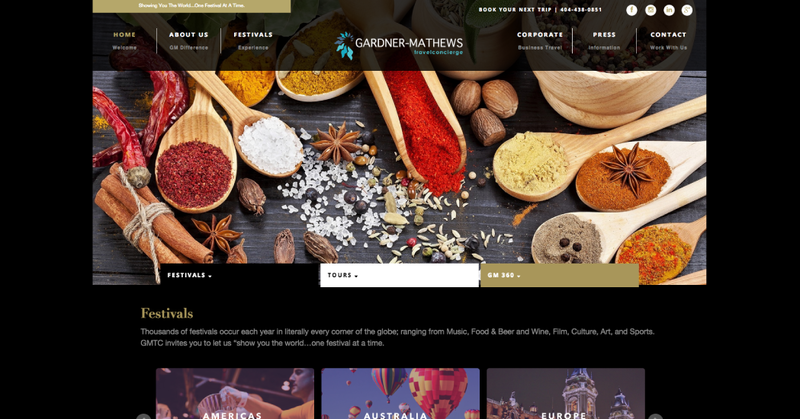 After extensive research into the market of global, elite concierge and travel agencies, the concept for the website’s homepage was born. It was important to acknowledge each service Gardner-Mathews’ provides. For easy identification and personalization, a system of iconography was developed and implemented for each one provided. 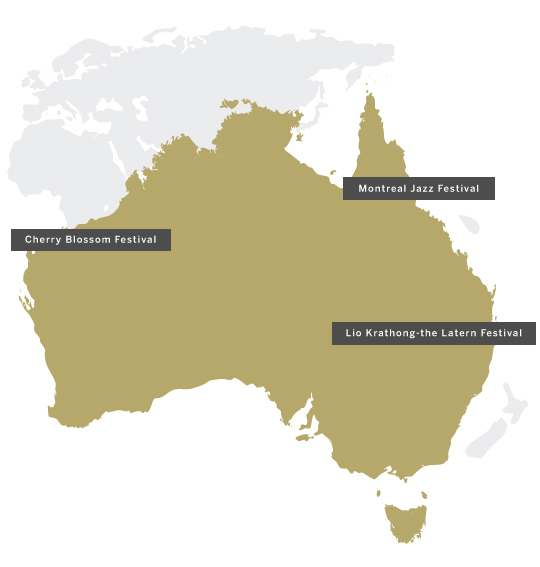 We created small-scale maps of each continent to help users with each festival’s geography. 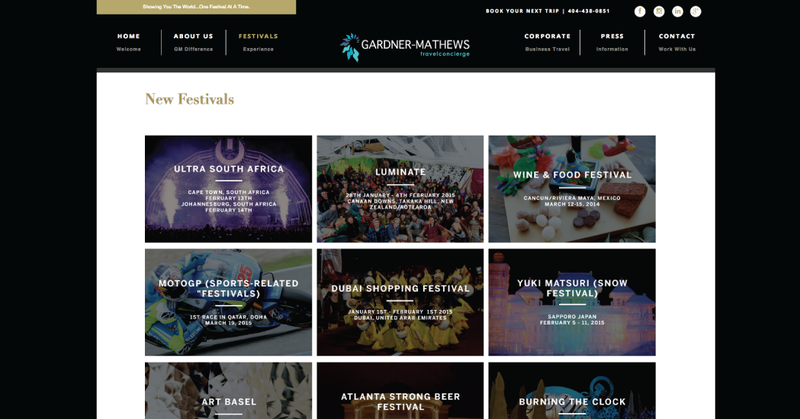 Clients can get an idea of where they’ll be traveling in relation to others festivals in the continent. GMTC asked that we package its brand into a new online interface and position it as the best in its market. Tablet and cell phone consumers will be able to access the website on the go with a design responsive to their interfaces. 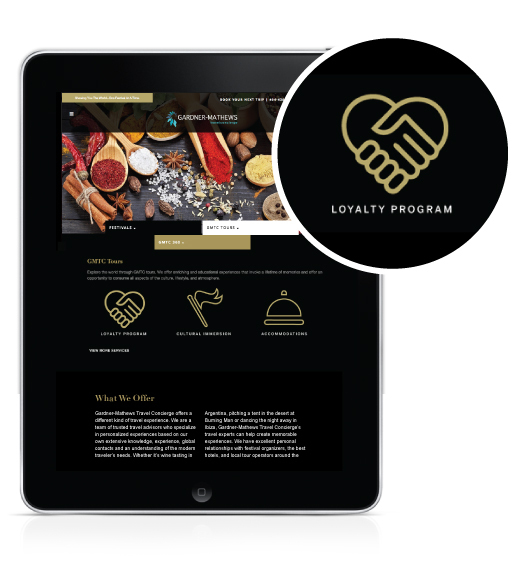 The final product was an elite and luxurious online experience for booking and traveling with GMTC.